An unusual octagonal shape makes this antique brass and amber glass lantern an eye-catching accent piece. The smooth lines of this candle holder make an elegant old world flair to your décor. 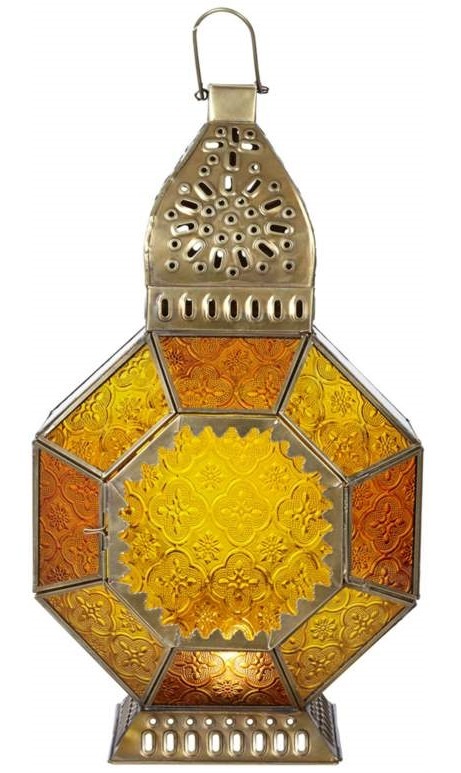 This gorgeous octagonal lantern features ornate detail work on antique brass and amber glass. Add a pillar candle (not included) for a warm glow indoors or out. Treat yourself to an alone time with dreamlights . . . Just romantic. • Holds one pillar candle (not included).